Recently, we hosted eight folks for a Spaghetti dinner at our rental home (casa) in Santiago. For us, these fiestas often become a Spanish immersion program. Only one of our guests spoke English and Bob and I are limited in our Spanish. We listened carefully to the chatter among our guests and managed to pick up bits and pieces. We are progressing with our Spanish, but slowly. We are the old Gringos who return every January to Costa Rica still struggling to communicate with the neighbors! Each year we depart Costa Rica for the USA, boasting we'll be fluent in Spanish when we return to Costa Rica the next year. Look out Santiago friends and neighbors, we'll be bilingual Gringos in 2017 – for sure! Our guests brought along musical instruments, a beautiful accordion and two guitars, to accompany their vocals. After dinner we adjourned to one of our outside terraces where we were treated to an evening of music. The singing and the instrumentals were grand. These folks get the most out of an evening with family and friends. The conversation is always happy and the music includes wonderful Christian songs as well as a few folky songs that get everyone giggling. Much laughter ensued when a Costa Rican Folk Song was performed by our musical guests. It was a rendition of “El Cadejos,” a folk song by Lorenzo (Lencho) Salazar, a well-known folk song artist of Costa Rica. In fact, if one hits YouTube, you can find a variety of entries concerning El Cadejos, even Lencho Salazar singing the folk tune. The Cadejos is a mythical creature known throughout Latin America. In several countries there are two, one white representing good and one black representing evil. The song we were treated to was about the black Cadejos, a devilish creature, resembling a vicious black dog with fiery-red bugged eyes, goat hooves, fangs, and dragging chains. It goes after a late night partier who enjoyed a bit too much “guaro,” a local red-eye alcohol. The staggering fellow travels a lonely dark route home from the cantina, stops by a river to relieve himself, and becomes frightened sensing he is not alone. It is the El Cadejos! So scared, our drunken friend hurriedly runs off without his pantalones. The end of the folktale, roughly translated, goes like this: “I got a runny stomach, and feeling pretty dizzy, with some corn cobs at hand I rushed to the back yard. Folks to end the story I tell you that he who sees Cadejos not ever stay up partying late again.” The laughter was in great part due to the singing of the tale presented with humor including a wink and a nod. April 7 Bob and I visited the Pacific Coast in Costa Rica and soaked up the rays and palm tree shade at Playa Ventanas. It is a terrific location for us, especially for Bob who is not a beach-lover. He enjoys this particular beach. We set our chairs up under the palms, viewed the beauty, and watched others frolic in the surf. Bob read and I meandered the beach, climbed the rocks, wandered into the ocean caves and waves, and snapped photos. Ventanas means windows in Spanish. The windows refer to the cave tunnels which in some cases are portals to the ocean. After our beach outing, we headed back to our house in Santiago, but not before we stopped at a favorite restaurant Valle de Encantado. This delightful restaurant is just outside of San Isidro de General on the road to the coast and offers wonderful views of the agricultural valley and the city with the mountains as backdrop. As Bob and I ate at Valle de Encantado, I thought about my camera clicking while on the coast. I considered the beauty of the beach and the ocean. I thought about what I would write and decided to include in this post some words by others on those very subjects. Enjoy the quotes and the photos. That's what I suggested to Bob this past Saturday, the first Saturday of April 2016. He said sure and we decided to hike one of the mountains we view from the back terrace of our house. A few years ago we had an extremely rough drive up that very mountain with friends for a group hike into the brush ending at a small waterfall. It was rigorous, but fun. So this last Saturday, Bob and I threw the car into 4 wheel and drove until the road gets really steep. We parked the car and hiked the rest of the “road.” Two days later our bruised feet, sore legs and hips are not very happy with the gray matter topside! Bob and I like to hike and over many years we've hiked in Alaska, Washington, Oregon, Idaho, Montana, Alabama, Florida, Wisconsin, Michigan, Texas, Virginia, West Virginia, North Carolina, Colorado, Wyoming, and Costa Rica. We've hiked along the shores of the Pacific and in the mountains. We've hiked through forest and meadows. We breath in the spectacular scenery and marvel at God's wondrous creation. 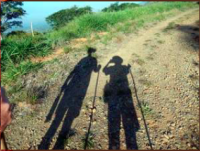 However, at age 69 and 71, our bodies seem to be screaming for less aggressive hikes. We are either going to have to spend more time getting our old bods in better shape or start hiking the low roads. When we start a hike, we habitually say we are just going to a certain point. Once that agreed to location is reached, we revert to another habit of saying, “let's just go a little bit farther.” It becomes a compulsion with us. We say to each other, we made it this far, let's just hike a bit more and see what's at the next crest. Trouble is these days we are not as sure-footed as we were in those earlier hiking years. We have taken some tumbles which thanks to God have not left us injured. We also tend to take more time-outs in order to catch our breath. Still, we hike! Enjoy the photos. The excitement level in Santiago, La Nueva Hortencia and La Colonia is electric. These are the three communities that make up our general neighborhood in Costa Rica. The community joyfulness is well earned. After six long years and exhaustive efforts, the residents will be blessed with a much improved road system by May. Bob and I cannot describe vividly enough for our readers the condition of many of these mountain roads where a surprisingly considerable number of folks reside. On certain community roads, particularly during the rainy season, four wheel drive is the order of the day. In addition to Tico residences, there are small grocery stores, schools, and churches in these communities. In fact, our particular area is an active bus route that runs between La Colonia to San Isidro de General. There is also plenty of delivery and service truck activity. In other words, a well-traveled road. Bob and I are bewildered that it has taken so long for this improvement to be authorized and underway. The perseverance of the community council in processing through the red-tape is admirable. It is a massive undertaking. Culverts must be dug out, enormous rocks excavated, and much grading accomplished to smooth the terrain and widen the road. Consider, that this terrain is mountainous. Over 800 dump truck loads of road gravel will be placed to create a ten-inch bed on the entire route. We also understand that once this is accomplished, within a short-time (by Costa Rica standards that may be 2 years down the road) asphalt will be poured giving the road pavement. We expect there will be dancing in the streets. If it were up to me, there would be a parade and a night of fireworks to celebrate. Before I continue expounding about the road, I need to have a sidebar with you blog readers. In previous postings, you've read about Amanda Arias and family. Amanda is the daughter of Romain (Romay) and Leila our musician friends and the niece of Bel our casa and Santiago Springs/Monte Verde development caretaker. Amanda is a sweetheart who is one of the young Costa Ricans who help us keep our grand-parenting skills sharp. She is the same age as our grandson Charlie and in the same grade - 7th. On one of her visits with us, Amanda confided that in addition to considering dentistry as a career she is also interested in journalism and teaching English. With that in mind, we decided to give Amanda a little taste of journalism and some language experience as a contributor to our blog. We asked Amanda to interview various members of the community for their thoughts about this long-awaited road improvement project. She was quite excited and did a terrific job on the assignment. First, she came in way ahead of deadline; second, she, along with help from one of the former Mennonite teachers Anita, translated her text from Spanish to English; third, Amanda hand printed beautifully over 3 full pages containing her interviews; and, fourth, she presented the paper as a keepsake for us and read it to us in English. Bob and I were so impressed. Her parents should be very proud, indeed. Generally, most expect it to take approximately 3 months with some indicating 2 months. The contract is for completion by May, as we understand it. It is a long stretch of road. The work commenced in La Colonia, the highest point and the worst portion, and will end where the road meets up with Pan American 2, a major highway in Costa Rica. Our rental casa in Santiago Springs is just before a steep incline to La Colonia. Actually much of the road to our casa from the community building in Santiago and beyond is an incline. Concerning the question of “When do you think the road was in its worse condition?” Hands down, the answer is the “RAINY SEASON.” Truly, when the rains are at full throttle the mountain roads take a tremendous beating and suffer from erosion. Residents work at the height of the rainy season cobbling together repairs of deep ruts. It is a shared-community concern requiring back-breaking effort. It appears the infrastructure improvement design allows for appropriate flow and drainage which should greatly diminish road erosion. The last respondent in Amanda's survey was Belsides Arias (our friend Bel you've met in previous entries). As mentioned, Bel is Amanda's uncle and is her father's brother. Bel is the “president” of the local municipality council and, along with several others including our landlord Nat, invested many hours petitioning for the approval and commencement of this infrastructure improvement. This is not an easy task in Costa Rica. We North Americans would not manage well dealing with Costa Rican governmental red-tape and the snail-like pace to bring a project application to reality. It has taken this community six long years to get this upgrade. In closing, I'd like to record a few excerpts from a brochure that the community council published a few years ago. I used Google Translate and I've taken a bit of license with the wording so it is less awkward in English. I've also shorten to capture just the highlights. It gives you a sense of the vision and attitudes of the people living in our particular area. Spiritual, and this is primarily a relationship with God. Quality of life includes social security. Security is a social value that everyone can and should contribute. For this we are working to implement organized community safety. Security is to take care of each other, take care of our resources, our assets, our forests, our water, our wildlife and all that God has given us. Quality of social life, including hygiene, so we work on a project called Clean Santiago. We are working with the support of Minaet and Sinac and the Municipality. They give lectures to our students about the importance of recycling of waste in our communities. We are also organizing groups (schoolchildren) to collect these wastes for recycling. Quality of life includes our economy. For this project we are working together for road improvement. Good water is a resource required for quality of life and we support the development of new aqueducts for our communities. We are also working on projects for watershed protection and reforestation of the top of our area. Quality of Life includes employment. Therefore we support the development of residential and Santiago Springs for other people to come and enjoy our climate and quality of life. We believe that residentials like Monte Verde Quintas will attract a level of people who can bring many benefits to our communities in which employment is one. To summarize, what we want to accomplish is quality of life and we believe that this is achieved by being pro-active communities with a fighting-spirit and pro-development spirit. We know that we will succeed only in conjunction with each of us being part of this team. We are open and invite ideas on how we can develop better quality of life in our communities. We invite you to be part of the group. We sense a majority of those living in this area have embraced this doctrine. Enjoy our photos capturing the road refinement - well-deserved progress in our favorite Tico community! Blog #8 – What is New – Before I continue with my main post, I want to note that today is March 25, Good Friday. During 2016 Lent, Holy Week, and Easter, we are missing reflection and worship at St. Paul's. In years' past, we've returned from Costa Rica in time to celebrate the Resurrection of Christ with our church family, even sometimes the final weeks leading up to Easter Sunday. This year that is not the case. Easter Blessings to all, Isaiah 53:1-6! Now, what else is New? I've been lazy about writing for our winter blog this year. These blog postings represent a trip journal of sorts for us and I'll probably regret not being more diligent in my efforts this year. Also, when I write a posting, sometimes in my haste, I do a poor job proofing and I miss errors. Like, blog #7 when I meant to type “doily,” but typed “dollie.” I did return to the posting and correct. My apologies for my lack of attention to detail. Perhaps because Bob and I are too comfortably settled in our rental casa and entirely content to stay close to home, we find ourselves taking root rather than travel about Costa Rica as in previous visits. Instead, this year we spend our Costa Rican days reading, drawing, putting jigsaw puzzles together, hiking, playing cards, dominos, and relaxing with friends. We even purchased fabric in San Isidro de General and secured the loan of a sewing machine so I could recover some chair cushions as a gift to the casa and landlord. That domestic opportunity was rewarding. Truthfully, Bob and I are not complaining about this more low-key wintering in Costa Rica. It felt like we needed it this year. That is not to say we did not thoroughly enjoy January when Glenn and Betty Russell joined us. That was great fun. However, apart from that, Bob and I have been on our own this year. The year of 2016 will be remembered by us as the year dedicated to relaxing in our general Costa Rican neighborhood region savoring good times with the locals. Don't misunderstand, there are Costa Rican adventures to be experienced; but we've been too laid back to seek that excitement. We've spent hardly any time on the Pacific Coast which is only 90 minutes from us. It is so very beautiful and lively on the coast with lots of activities, but we'll give those more attention next year. Before we return to Michigan, no doubt we will be making a day trip to the coast to some of our favorite beaches and eateries. It would seem odd not to do that day trip. Weekly, sometimes more than once, we travel into Palmares, a town just north of us and closer than the bigger city San Isidro de General. Between Palmares and the San Isidro corridor (the canton of Perez Zeledon), we shop a favorite large grocery store, visit the local enclosed shopping mall, pick up produce from a favorite vendor and various meats from Tres Jotas, a superb local fresh meat processing facility . We also eat at favorite restaurants in the vicinity. 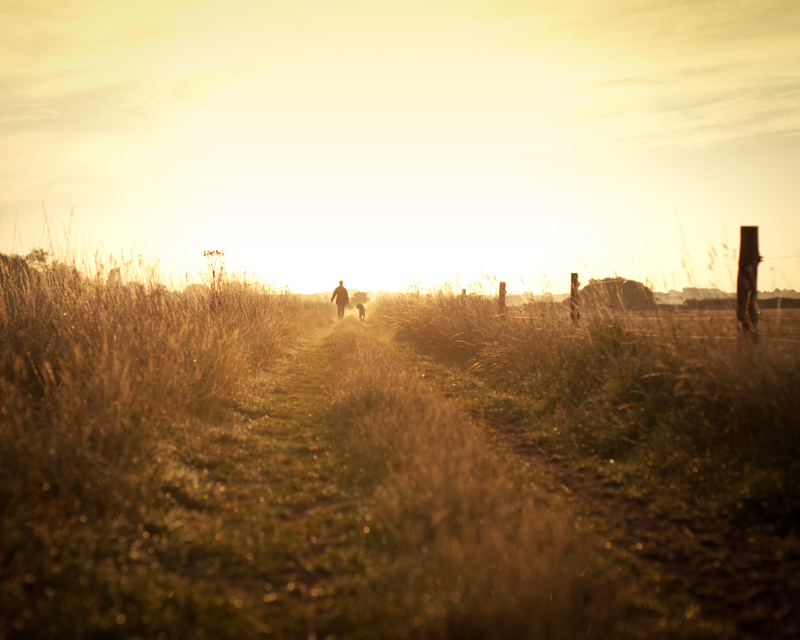 Oftentimes on these outings, we'll decide to veer off the main drag to explore down a road less traveled. There are lots of those and once the pavement ends they are always an adventure. We also travel the mountain area surrounding our casa for our haircuts, to shop the small grocers, and visit friends scattered about the neighboring villages. Those destinations are close as the crow flies, but some of the excursions can require an hour or more travel time. Some are reached via circuitous and rocky routes in the mountains and that takes time. 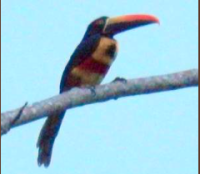 Speaking of traveling, we just returned from San Vito, Costa Rica, where we wandered over to Panama. As our stay in Costa Rica this year exceeds 90 days, we had to leave Costa Rica prior to the end of the 90 days and reenter. Rules are rules and the easiest way for us to abide with this rule was (and is) to travel to San Vito, Costa Rica, onto Sabalito and the Rio Sereno border. We migrated to Panama, shopped a bit in Panama where Bob purchased two leather sombreros for a total of 14 US$, and then we reentered Costa Rica successfully accomplishing the necessary requirements. Next year, we hope to spend a few days traveling in Panama and exploring that country. Lucky for us, in San Vito we have Costa Rican friends Juan and Patricia. Patricia took us through the entire process and it was such a true gesture of friendship. Later we returned to their casa where Juan and their daughter Gabby tended the family cheese processing business. We had lunch and then took our leave for the return drive to Santiago. Blog #7 – Who is just a bit older? This past weekend was an exceptionally memorable time for us. I (Peggy) turned 69 on Friday, March 18. When I entered my sixties, I never imagined that I would be celebrating birthdays in Costa Rica. If I cannot be with our girls and their families to blow out the candles, being with our adopted Costa Rican family is a great substitute for which we thank God. And, it so happens it is a shared birthday with Nat and Carmen Yoder's youngest daughter Lydia, who turned 8. You will recall we rent our casa from Nat and Carmen and we love this family. What a treat to celebrate with Lydia. Last year we celebrated together at the Mennonite Christian school where I nearly crippled myself playing soccer. Perhaps playing soccer with those 55-60 years younger is a bit too much rowdiness for someone in their late 60's! This year was a different celebration. There is a charming rancho in the development of Santiago Springs and the evening of March 18 Lydia and I were treated to a birthday dinner at the rancho. It was lovely. We enjoyed barbecue chicken, baked beans, potato salad, rice, chocolate cake and apple crisp with delicious ice cream. Yum! All the guests are dear friends who will always have special places in our hearts. Now, I look forward to next year when I turn 70 when we hope to have our children and grandchildren with us for a spectacular celebration. I'm posting some photos from our birthday evening at the rancho. We also have some fabulous news to blog about in the next few weeks. Our neighborhood in Santiago is finally, after years of working on making it happen, getting major road improvement. Most of our readers cannot possibly understand how terrific this is for this community. Nat Yoder's development of Santiago Springs is also enjoying road improvement. You must be comfortable in a rural, somewhat rugged, tropical setting which requires a bit of road travel to reach particular shopping conveniences. Honestly, it is so wonderful in Santiago Springs and the people are kind and sweet. The climate is perfect and a day outing to the coast is easy to accomplish from our location. Seeing the improved infrastructure underway is exciting for us and we can only imagine what it means to those who are permanent residents. Stay tuned for our upcoming blogs detailing this exciting time for Santiago. We are outside enjoying the evening sitting in the bamboo rocking chairs on our tiled terrace. Rocking quietly, we listen to the sounds of our neighborhood in Santiago, Costa Rica. Spanish chatter and laughter drifting from the homes near our rental fill the airwaves. We listen to the noise of the night as motorized vehicles travel the road conveying residents to their homes. Up and down the road typical tico trucks with colored stockade-like framing around the bed rattle along the rocks; motor cycles varoom; a few cars ease along carefully avoiding ruts; and the bus rumbles up to La Colonia as it nears the end of its route for the day. Added to this evening symphony the occasional toot or beep as drivers pass neighbors and signal a greeting. A chorus of frogs, buzzing insects, barking dogs, clucking and cackling chickens, roosters crow all day into the night, and the cooing and chirping of nocturnal birds provide nature's sound effects. Actually, we count on the dogs and chickens to make their presence known 24/7. However, the frequency of that particular cacophony, for the accustomed resident, dissolves into subliminal background; like the regular consistent chiming of a grandfather clock, your hearing has placed on mute. On some evenings musical instruments and singing voices drift our way. The tones come from the Assembly of God Church “Monte de Dios” which is down the road. Recently, they hosted a few neighboring churches and participated in a song fest. Even in Spanish, some of the tunes were recognizable as contemporary Christian frequently sung in many USA churches. However, no music this evening, but there is a distant thundering, almost like a whisper. As we relax on our high perch overlooking a mountain valley, we wonder if the storm will come our way. We gaze down on twinkling lights, blinking red communication tower lights, moving sparkles from headlights and they are all part of a brilliant light show. Many evenings we see large swatches of blazing ground fires. Those are pre-harvesting cane field fires and, though it is a controversial process, it provides quite a viewing spectacle from a distance. This terrace is our personal lookout mountain. On a clear night, we look upward and enjoy a glittering show from the heavens. We glimpse a satellite or two cruising over the earth. Tonight, however, is cloudy and along with that thunder in the distance we see blinks of lightning. Think the Sci-Fi movies when the ominous clouds over earth contain flashes of light. That's what we observe tonight. It is eerie, but beautiful. As we look down we watch many different cloud formations gathering. It looks as though there are pockets of rain here and there. Far away there is a downpour with all the works, but it does not look like it will pass our way. We sigh and move indoors as the community settles down for the night, so do we. One spot in Costa Rica that Bob and I love to visit is San Gerardo de Dota located in the Los Quetzales National Park. This particular area is a mecca for hikers, birdwatchers, and lovers of flora and fauna. 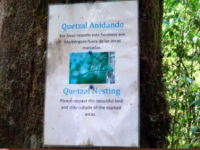 It is inhabited by approximately 200 bird species with the Quetzals its most famous residents. The most common description of the Quetzal is “resplendent.” Unfortunately, we've yet to spot one, but we've seen plenty of photos and “resplendent” is an apt description. You will note in the slideshow a photo of a painting detailing the Quetzal which easily confirms what a magnificent bird it is. The area is packed with towering Oak trees and is also home to a variety of epiphytic plants, those plants that grow hosted by another plant without harming the host plant. The San Gerardo de Dota Cloud Forest area contains wild avocados, cypress, bamboos, wild berries and cherries, and a multitude of other plants. 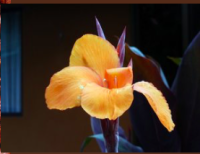 When you view our slideshow you will see photos of watercress, Tamarillo (tree tomato) which produces a ruby red sweet fruit, Bolivian fuchsia as well as other fuchsia, begonias, Mountain papaya, avocado tree, lace cap hydrangea , cannas, calla lily, bird of paradise, impatiens – several types, and one of my favorites, Lily of the Nile. Those are just a few; the variety of flora is mind-boggling. I've id'd some of them on the pictures and others I'm not positive enough to name. One of Costa Rica's cleanest rivers, the Savegre, flows swiftly through this area making its way to the Pacific. It is loaded with adventure opportunities from rafting class II through IV rapids to fly and lure fishing to viewing all manner of wildlife and waterfalls. Sprinkled throughout this area are a variety of lodges each producing a vibrant rural ambience. One in particular, the Dantica, a Dutch-Colombian family-run eco lodge, is of contemporary design with a Latin American Folk Art museum and gift shop with creative displays. The main lodge reception area and restaurant is all about the view. Large picture windows abound. 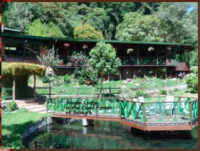 Dantica is a must stop; however, our favorite is the Trogon Lodge. Trogon is quite different from Dantica in design, more of a rustic look, and the grounds are gorgeous with spectacular views. 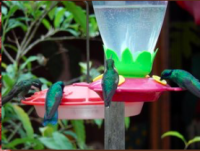 Trogon, like many of the lodges, offers a variety of activities, such as, organized hikes for birding and wildlife spotting, fishing, horseback riding, and canopy zip-lining. At all our stops, we find the staffs to be cordial and helpful. 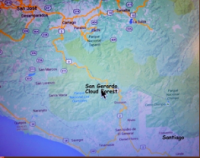 We really appreciate San Gerardo de Dota , a Cloud Forest wonder, nestled in the Talamanca Mountain Range. On all our excursions to this area we've enjoyed average daytime temperatures in the 70's. We've experienced one overnight and can confirm it gets very chilly, 40-50's! It takes approximely two hours to reach the Cloud Forest travelling north from Santiago through San Isidro and up the Mountain of Death. Drivers and passengers are always grateful for surviving a drive on the Mountain of Death highway. It is great preparation for the drive on the actual road into San Gerardo de Dota. That road, which diverts off the Pan Am 2, is not for the faint hearted as there are some exciting sharp, steep curves on a narrow roadway that takes your breath away. Drivers, like navigating on the Mountain of Death on Pan Am 2, for the sake of your passengers and oncoming traffic, do not be distracted by the scenery. PLEASE! I've provided a map with the photo show. Thus far this year we have made two trips. In January, we travelled to the area with Glenn and Betty Russell and also our good friends Don and Nancy from Nirvana. (You read about Nirvana in a previous post. ) Most recently, on February 25, we treated our Santiago Springs neighbor and friend Stan Kaufman to a San Gerardo de Dota day trip. 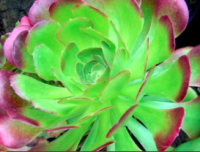 We knew Stan, an expert in plant life with an affinity for tropical plants, would go bonkers over the San Gerardo de Dota area. Indeed, it looked to us that Stan was on Cloud Nine for the day! Enjoy the photos! We've been remiss in posting. We've been enjoying some non-tourist time and hanging at the casa. However, there are always some newsy items to share along with some photos. We use our time in Costa Rica to catch up on our reading and research. Bob and I are involved in various church committees, one of which is concerned with evangelism and growth. Sadly, statistics today prove that church attendance/affiliation is declining significantly in the USA. Hopefully, our parish, St. Paul's Anglican Catholic Church, will expand in using its many resources to participate on the front lines as “fishers of men.” Mark 1:16-18 In Costa Rica, Bob and I dedicate a significant amount of time focusing on ideas and possibilities for reaching non-believers and those who have fallen away as practicing Christians. We conjure up and refine suggestions to inspire our congregation with fulfilling the “great commission.” We certainly are afforded time in Costa Rica to give a great deal of thought to this endeavor. We also manage to stay on top of news from around the globe, especially the United States. Certainly, would be easier on one's mental state to not keep abreast and go with “ignorance is bliss.” Heavenly Father, help us all! 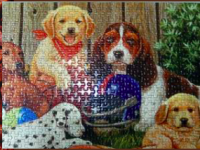 We work on jigsaw puzzles (in Spanish: rompecabezas), what a great sounding word; take hikes, and visit neighbors and friends to share a meal or just a cup of java. I draw and embroider. And, of course, both Bob and I perform the usual mundane household chores. Beyond that, one of my favorite things to do is lounge in the hammock and enjoy the scenery. Oh, and Bob did have a day on the Pacific coast playing golf with our landlord Nat, his son Josh, and Nat's brother-in-law Issac. Issac's birthday is February 14 and Bob's is February 19 so playing a game of “best ball” seemed like a fun way to celebrate. As Bob told Nat, the last time he (Bob) drove a golf ball, Issac wasn't even born. Bob was a tad rusty, but he managed and enjoyed himself immensely. While Bob putted about, I remained at the casa in the company of one of the young neighbor gals, Amanda. As previously posted a few weeks back, we joined Amanda and her parents to harvest coffee cherries. Amanda brings out the grandma in me and I so enjoy spending time with her. We work on my Spanish and she works on her English. She is improving at a much quicker pace than I am. A case of a quick-minded youth versus a slow-to-get-it old lady. Here are some photos from the past few weeks you might enjoy. In Costa Rica, Bob and I have gotten to know some pretty terrific people and acquired friendships that we treasure. It only seems appropriate that two of those folks, Don and Nancy, should live in a place called Nirvana. Enjoying the companionship of Don and Nancy is one of the highlights of our wintering in Costa Rica. This wonderful couple moved to Costa Rica around 2010 and built a gorgeous home high in a remote mountain location about 40 minutes drive from our rental home locale. Actually, their home is much closer as the crow flies, but we are in Costa Rica and the road network is not a tribute to civil engineering expertise. The terrain simply does not lend itself to the fast track road system we revere in the USA; and to boot, the Costa Rican Road Maintenance Administration's SOP is not based on logic. Honestly, we love Costa Rica, but we have yet to understand how they decide which communities should be favored with 21st Century, or for that matter 20th Century, infrastructure. We suspect there is nefarious political behavior at play! Talk about a need for Nirvana! Those of you who read last year's blog, may recall Romay, Leila, and their daughter Amanda. Romay is the brother of our casa's caretaker (and our friend) Velcedes (Bel). Last year they attended Bob's 70th birthday party on February 19 for good eats, music, and singing. I wrote about that evening. At that gathering, Romay played keyboard and guitar and Leila treated us to her exquisite vocals. We had a memorable evening and Bob will not soon forget his 70th. Last week, while the Russells were still with us in Costa Rica, we entertained Romay, Leila, and their daughter Amanda at our casa. Romay and Leila speak very little English, but Amanda is learning the language. Amanda is a beautiful 13 year old in 7th grade very well mannered and charming and aspires to be a dentist. Bob and I especially enjoy Amanda's company and she seems to like to spend time with us. She surely brings out the grandparent in us and we are reminded how much we miss our grandkids back in Michigan. Amanda practices her English with us and we practice our Spanish. However, the evening Amanda and her parents came to dinner, we resorted mostly to using google translate. We attempted to speak a bit of Spanish and the entire family tried to help me hone my pronunciation skills. I loath to share any of the stories about my infamous Spanish mispronunciations. Those are Bob's stories, which he tends to embellish at my expense. Rascal, that he is. Once again, Romay and Leila treated us to their musical talents and we were pleased to have Glenn and Betty share in the experience. It was an enjoyable evening and ended with an invitation from the family to join them the following week to harvest coffee cherries. Glenn and Betty would miss out on the fun as they would be back in USA; but, Bob and I were excited to immerse ourselves into the local activities of life in Costa Rica. Bob and I are not very expert at the coffee picking craft. There was no way Bob and I could keep up with Romay and Leila, let alone Amanda. But keep at it we did until 2 p.m. I think we impressed our Costa Rican friends with our work ethic. For my part, I was very grateful that Amanda kept watch over me. I found myself getting lost in the orchard as I attempted my way to the main orchard road. That involved a climb upward through shade trees and mature coffee plants. I made two trips up and were it not for Amanda coming to my rescue, I would still be wandering the Talamanca Range and the La Amistad International Peace Park. I was so turned around. Also, I was a bit timid walking about because I know there are some very bad snakes in Costa Rica. I've been told stories about run-ins with snakes in the coffee plantations. However, all the years we've been to Costa Rica, I've only seen one snake and I'm told it was harmless. Still, I like to watch where I place my feet. Today Costa Ricans do not participate so much in the coffee harvest as they prefer higher paying work. In many of the large coffee orchards the pickers are migrants from Panama and Nicaragua. However, Romay's is a family-harvested orchard with the occasional help of old people from the USA. The harvest season is December to March and coincides with the school break which runs from December to early February. Bob and I are not novices working a coffee orchard. Our first time was at our friend Malcolm's coffee ranch a few years ago. His ranch is way up a mountain on the road to Cerro Chirripó Grande (the highest peak in Costa Rica). His house is the last with electricity on that particular road. Malcolm's plants are younger and we did a great deal of stooping as we picked. Also, Malcolm's plants grow on a steep, terraced slope and the picking was an awkward endeavor, challenging and hot, but still fun. We didn't last as long that day as we did in Romay's orchard. We did have a fun time with Romay, Leila and Amanda. We were quite tired, but blessed to have shared this experience. I provided some photos of this special family and our day of coffee cherry harvesting below this text. If they'll have us, we would happily participate again coffee cherry picking along side this lovely family. I'm putting it on my calendar for next year and we'll see what happens. Okay, how about you purchase some Church Grounds Coffee so you can enjoy “A cup, a cup, a cup, a cup, a cup!” Enjoy the photos and also some great links I've provided for you to view. As I write it is February 1, 2016, and a month has slipped by since our arrival in Costa Rica in the company of great friends Glenn and Betty Russell. During January we spent our time acclimating ourselves and reconnecting with our friends in the area. 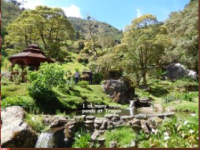 We hiked, motored around fabulous scenery, ate at favorite restaurants, shopped San Isidro de General Feria, visited our favorite lodge in the Cloud Forest, savored moonlight dining on our landlord's verandah, and partied and swam with friends. We played many games of Ten Penny, Euchre, and Dominoes with Glenn and Betty and bantered constantly about whether the girls are more skillful at games or the boys. We made interesting dinners and enjoyed some lazy do nothing days as well. 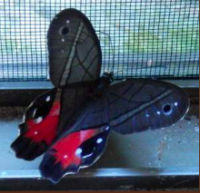 January 2016 in Costa Rica is now a memory. During mid-March 2015 we prepared for our return to the USA from Costa Rica. The prep process includes placing our vehicle we use in Costa Rica into the capable care of our landlord Nat. He stores the car for us until our return. For our part, we allow that when a need arises, Nat is free to put our vehicle to use during our absence. A handy and agreeable arrangement. During late Spring, we learned that one of our close American friends residing in Costa Rica had a terrible auto accident on the Costa Rica Pan Am Highway 2. Our friend Don was seriously injured and would require several months of recuperation. Their vehicle was extremely damaged. Don and Nancy decided to have their fancy truck rehabilitated rather than scrapped. A similar vehicle would cost mega-dollars and the damaged truck could be fully restored for a much smaller sum. While the truck in the repair shop, we connected Don and Nancy with our landlord Nat in Costa Rica so they could use our Costa Rican wheels. Ah, those magnificent men in their DRIVING machines! Meantime in Michigan, we cruised through our summer. Our old rusty KIA Van was “sort of” running and our VW Passat was functioning with a new twist. When the Passat AC was on, spits of water would spray on us. In the heat of summer, a continual cool mist is refreshing, but soggy clothes lend to a somewhat unkempt appearance. Regardless, we were getting from here to there and back – no problemo! Seriously, when you buy your vehicles at the REPO Lot, as Bob is want to do, you can't expect them to be top gear! Ah, those magnificent men in their DRIVING machines! Meantime in Costa Rica, our little Toyota 4 Runner was proving quite serviceable to our friends. Unfortunately, during that time another American friend Stan, who winters in Costa Rica near where we stay, received disturbing news that his Costa Rica vehicle caught fire while parked in his car port in Costa Rica. Stan hoped when he returned to Costa Rica in December 2016, his vehicle with the burned out engine would be repaired and ready for him. Hope is great, but really misplaced in this circumstance. You will learn more about the truth of that statement a bit later. Ah, those magnificent men in their DRIVING machines! Meanwhile back in Michigan, the aforementioned KIA Van was becoming unpredictable, CARtankerous, so to speak. The tip off: when one drives along the open road and the conveyance suddenly stops running, despite one's wish to be full speed ahead, one gets the sense something is mechanically wonky. When this happens more than three times, one FINALLY takes it to one's favorite mechanic. (Insert “Bob” for “one.”) The diagnosis: spend around $2500 and the van MIGHT return to operating condition. “One” and I agreed: NOT WORTH IT! We deported the Kia Van to the Resale Lot and relied on the VW Passat for the remainder of the year. Upon return from Costa Rica, April, 2016, “One” and Peg intended to replace the van. It was decided! Ah, those magnificent men in their DRIVING machines! Recall the idiom: “The best laid schemes of mice and men go often askew”! We cannot speak for the mice (though the poet Robert Burns did); but Bob and I certainly identify with the “men.” Within days of dumping the KIA Van, our VW Passat decided to mourn the loss of its former garage companion. In empathy, the little Passat cried tears of oil everywhere until it was no longer the engine that could! What a mess, what an expense and what bad timing! Company was coming for a 10-day stay and we had no car! We could rent wheels while the VW Passat received a new (rebuilt) engine and planned to do so; however, thanks to family and friends, a rental was not necessary. With some car juggling on our behalf, we availed ourselves of other offered wheels through family and friends. We anticipated our Passat would be ready within 4 weeks. Ah, those magnificent men in their DRIVING machines! During this CARtastrophe, we received notification from Costa Rica that our landlord Nat and his wife Carmen were driving along the Costa Rican highway, when a vehicle ran into them! Thankfully, they were uninjured, but their car would require major repair. Fortunately our other friends in Costa Rica no longer required our vehicle and we were able to help Nat and Carmen by loaning them our Costa Rican vehicle. Which was the only reliable vehicle we owned at the time!! How weird is that? Ah, those magnificent men in their DRIVING machines! Three months later (end of November), during which more than once we and our mechanic would have gladly placed a lighted stick of dynamite up that Passat's muffler, we finally had the VW back in our garage. With only a few weeks remaining before we departed for Costa Rica, we thought surely the Passat would make it despite a somewhat chronic oil leak. Ah, those magnificent men in their DRIVING machines! And so it might have, except that Peg should not drive at night when it is foggy and wet. Also, Peg should not drive on newly revamped city streets that suddenly sport the addition of a rather oddly shaped median which is invisible when it is dark, foggy, and wet, but still considered a great safety feature! Ah, those magnificent men in their DRIVING machines! December 13, 2015, as I, your blog author, was driving home in darkness through fog and rain, I selected a route offering reasonably well-lit roads. As I was turning from a main drag onto this residential street, I was tossed and rattled about in my seat twice as the little Passat drove over a considerable lump in the street. I rounded the block to return to the scene of the crime to ensure whatever I drove over was not a two or four legged being! It was at that moment, I recalled the street as the recently reconstructed road with that handy, new pedestrian safety feature in the middle of the entrance. Of course, I did not turn wide enough to avoid the lumpy bit of concrete but instead drove my low riding German-manufactured miracle machine over it! However, it was still operating and seemingly none the worse despite the obstacle run-over. Ah, those magnificent men in their DRIVING machines! I continued home, bedded the VW down in the garage, and entered the house to rest my weary eyeballs. Sixty minutes later, I returned to our garage to retrieve an item. My eyeballs, now rested, gazed upon a small lake of car fluids emanating from the Passat. The word gushing-goo comes to mind. Really, where does all that gunk reside in the engine? Ah, those magnificent men in their DRIVING machines! At that moment it was time to alert the “one.” “Oh Bob?! You might want to come out to the garage and check the Passat! It looks like that oil leak has worsened a bit! Also, there is some reddish fluid mixed in with the oil, honey.” I called out ever so sweetly. Sadly, the Passat had run its last mile under its own power. I had rung its death-knell by driving on a foggy, wet, dark night. Ah, those magnificent men in their DRIVING machines! As hard as it was to confess to Bob what I had done, telling our mechanic was WAY harder! Prior to my median (great safety-feature) mishap, our mechanic spent almost 8 weeks working on that VW. Turns out, VW Passats are not easy mechanically and our long-time mechanic had a heck of a time installing the new engine. As a side mishap, the repair also resulted in removing and installing three different transmissions on top of the rebuilt engine. The transmission difficulties alone would put a lesser mechanic into an asylum with mechanically-induced madness. I can't bring myself to share that particular chapter of the Passat saga concerning the transmission. It is just too hard to believe. A word game for you: examine the word “Passat.” Now take one “a” out, replace with an “i” and throw in an “n” at the appropriate spot and you have what the VW was known as to me! Ah, those magnificent men in their DRIVING machines! Our insurance company “totaled” the VW. We ended 2015 without any personal vehicles in Michigan and no time to purchase a new one prior to our departure for Costa Rica. Coming to our rescue during those few weeks were family and friends and we owe more than a few favors to those folks. When we return mid-April 2016, the first item on our agenda is car shopping! Check out what I have my eyes on: http://www.scootcoupe.com Ah, those magnificent men in their DRIVING machines! You might think that is where our tale ends, but less you forget, we have a vehicle in Costa Rica. It was delivered to San Jose for us on December 31, 2015, and ready for our drive to San Isidro on January 1. We drove it to San Isidro without mishap over the infamous Cerro de la Muerte, aka, Mountain of Death. However, the next day we discovered our spare tire and jack missing. That happened when we were shopping and developed a flat tire. Lucky for us, we were at our favorite meat processors and those wonderful folks at Tres Jotas came to our aid. Ah, those magnificent men in their DRIVING machines! With our tire patched and fully inflated, the next item on our agenda was securing a spare and getting new tires on the car. We have no idea when the spare and the jack disappeared, but doubtless some resident of Costa Rica felt the need to avail themselves of those items at our expense. Neither the spare nor the jack were missed nor thankfully needed by our borrowers. Those types of thefts are all too common in Costa Rica, and easy to do with our car as the spare was stowed on an exterior rack. (Not anymore, heh!) Ah, those magnificent men in their DRIVING machines! During January, we continued to suffer madness over motorized vehicles. You recall Stan and his burned out vehicle engine? Stan is our seventy-six year old neighbor in the Costa Rican development where we reside. While waiting on his car repair, Stan raced about the mountains on a small motor bike. One January day, after visiting us at our casa, Stan mounted his bike, fired it up, and took off for his casa over the exciting, rocky terrain that passes for “road” in our neighborhood. Hours later, Stan wandered into our house, quite unexpected, looking bedraggled, hobbling a bit and sporting a few abrasions. Somehow on his way back from our casa earlier, as he charged up a rocky incline, he lost balance and Stan and the bike disappeared over the edge of the road into jungle. It was a bit of a steep drop over that road and we all gave God thanks that Stan survived. He remained conscious and once the shock wore off, Stan was able to get himself up and out of the ravine; nothing short of a miracle to be sure! Bob, Glenn, and several Mennonite friends pulled Stan's motor bike from the ravine. It would need repairs. Ah, those magnificent men in their DRIVING machines! Some weeks later, Stan's car was repaired and he finally had wheels. And, shortly thereafter the motor bike was back up and running. The first day out with his vehicle Stan spent hours in San Isidro running errands and buying at least twenty some tropical plants from his favorite nursery. (Did we mention that Stan is a tropical plant expert? Costa Rica is his Nirvana. More about that in another post). On that particular day, late in the evening, we were enjoying cards with Glenn and Betty when our phone rang. You only get one guess here, readers. That's right, Stan's car blew up on him on a dark road heading back into our general area of residence. We rescued Stan and I'm guessing about twenty tropical plants ranging in sizes from medium to large. It was dark, but despite everything that particular dark, rocky road is traveled frequently and there were a few folks kindly helping Stan out of his flaming vehicle. What a night! Ah, those magnificent men in their DRIVING machines! As I write today, Bob is helping Stan locate a reliably functional vehicle within his budget. Reliables are few and far between around here and all are overly priced. Glenn also was a big help in this endeavor, but as Glenn and Betty are back in the USA, they won't be around when Stan is finally behind the wheel in his own vehicle. In the meantime, Stan snags rides with us. We are lighting the candles and saying our prayers Stan will own another vehicle here in Costa Rica by the end of this week. We are also asking that it work well and last for longer than a year. Ah, those magnificent men in their DRIVING machines! Okay, readers, that is it for this first entry. I am posting a few photos. There is a set a photos from our tire buying excursion. Note the fun items the fellas make with the rubber from tires that no longer have any business on a vehicle. You might get a kick out of those. Meanwhile, I will start another entry to share some Costa Rica adventures and interesting experiences. Pura Vida!